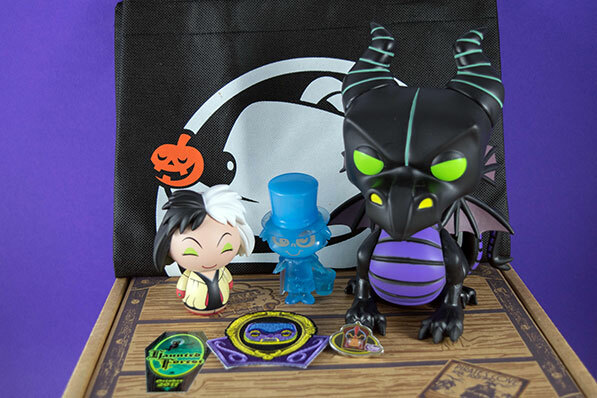 Funko Disney Treasures Takes Fans Inside the Haunted Forest | YAYOMG! Everyone knows that Halloween is an exciting time to be a Disney fan. 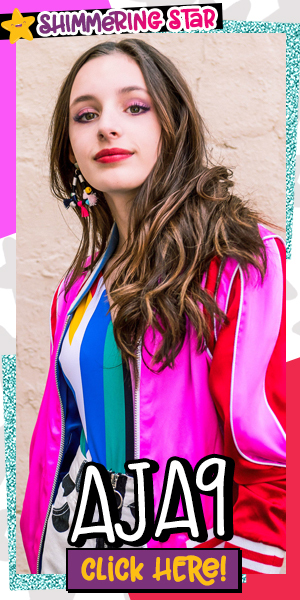 From dressing up as your favorite Disney character for the big day, watching the Halloween specials on Disney Channel, or hitting up Mickey’s Not So Scary Halloween Party at the Disney Parks, there’s something extra special about the Disney magic during the Fall season. 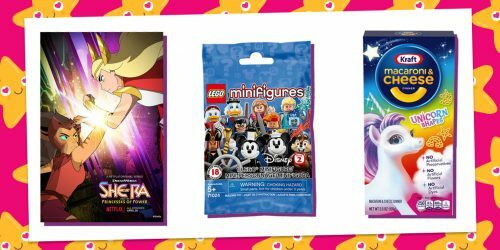 The Funko Disney Treasures subscription this month was no exception. 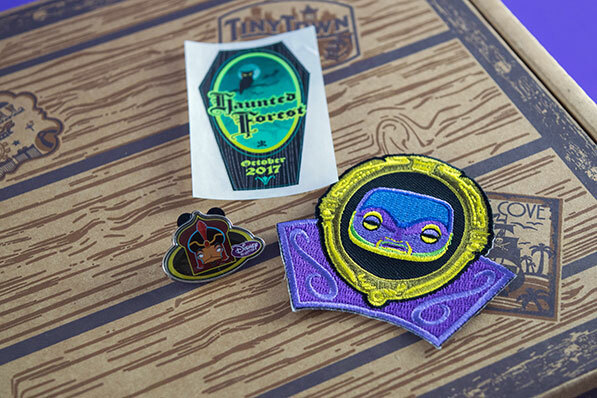 They really brought the spooks with the exclusive items found inside the Haunted Forest box this month. Sadly there’s not an Oogie Boogie popcorn bucket stuffed inside this treasure chest, but once you see what DID come inside, we think you’ll be pretty thrilled. 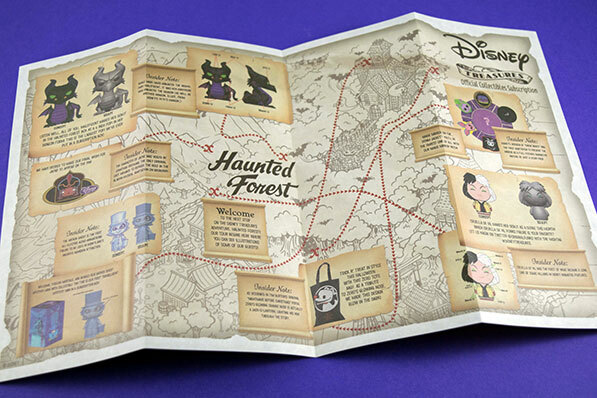 Since this is the Haunted Forest theme, this box has a bunch of wicked Disney Villains waiting to greet you. First up is the monthly pin, featuring a POP!-ified Jafar, and a patch of the iconic Magic Mirror. 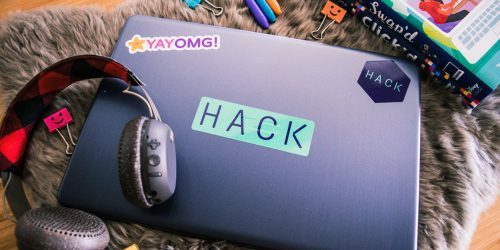 You’ll also find a Haunted Forest sticker for you to stick to your stuff. Even more exciting goodies await as you dig further inside the box. 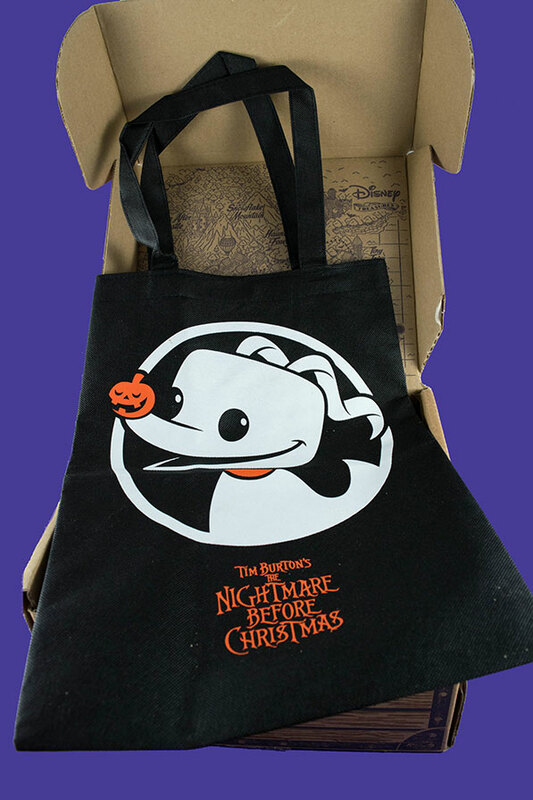 The first thing you’ll find is a super cute tote bag featuring Zero from Nightmare Before Christmas – perfect for Trick or Treating! Things start to get a little spooky as you pull out this month’s Disney Mini Tin. On the outside of the tin there are lots of scenes from the Haunted Mansion ride, but beware of hitchhiking ghosts! 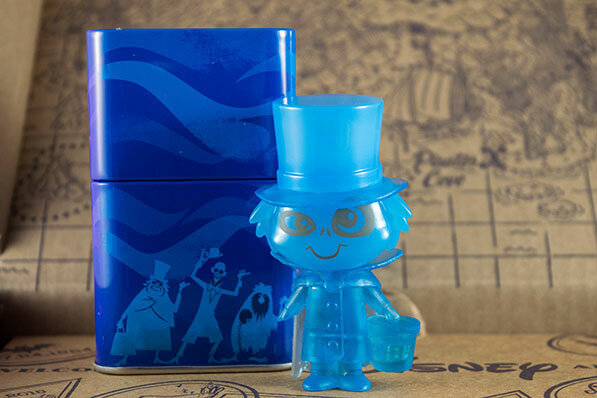 Once you open it up, you’ll find the Hatbox Ghost figure in all his ghoulish glory. If the next item in the box doesn’t scare you, no evil thing will. That’s right – it’s Cruella De Vil from 101 Dalmatians. 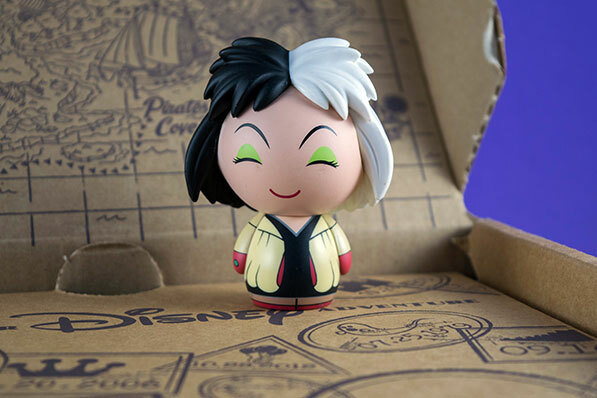 Cruella doesn’t look quite so evil in Dorbz form, in fact, she’s almost as cute as a pup! There’s always a ton of hype around the exclusive POP! figures that come inside the Disney Treasures boxes, but this time, the hype level was out of control. This box sold out super early, and we’re pretty sure this sinister lady is the reason why. Notorious for being the most wicked villain in all of Disney cinema, Maleficent is a huge fan favorite. 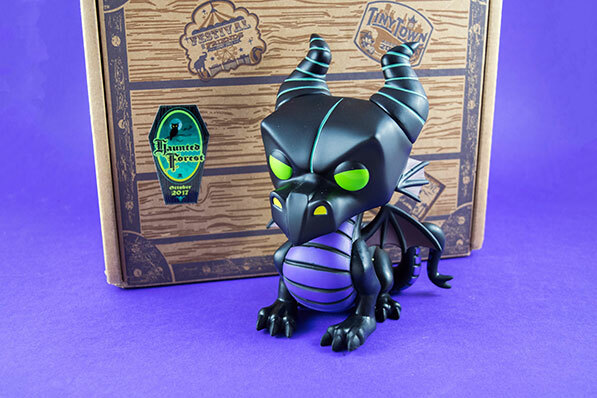 For the first time, Funko recreated her not just in dragon form, but as an oversized 6″ figure as well. Despite being downright evil, this figure is almost as cute as Maleficent’s lizard form in Descendants 2. So where is the adventure headed next time around? Snowflake Mountain! All of the items in this box will have a winter theme, so pretty much any Disney moment that takes place in winter or during Christmas has a chance to make it into this box. We might even see a holiday ornament! 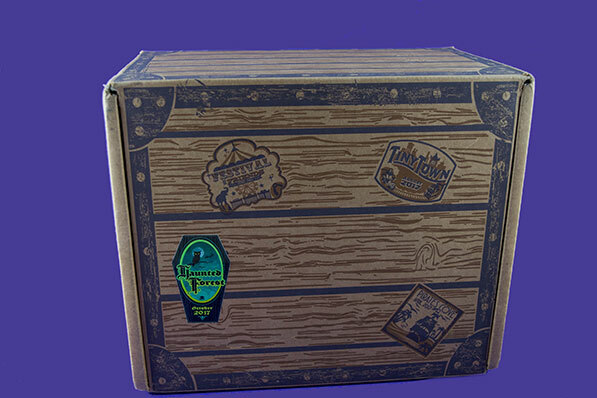 Personally, we’re hoping for Santa Jack, but we’re not getting our hopes up since this box contained a Nightmare Before Christmas item. 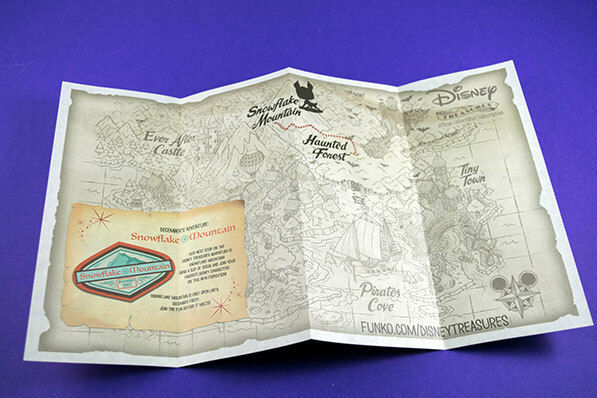 Chances of seeing a Frozen item are pretty high, as well as maybe some of the wintery rides from the Disney Parks like Matterhorn or Expedition Everest. One thing we know for sure? We’ll for sure be seeing Bambi, as he’s the teaser silhouette on the map. The Snowflake Mountain box is available to purchase until December 1st, making it a perfect addition to your holiday gift list. As always, ask a parent for help and permission before signing up! 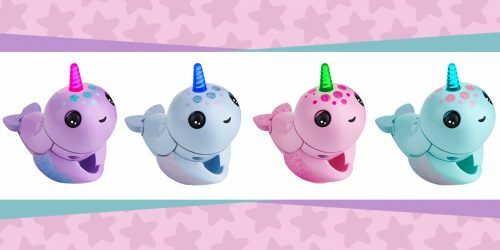 If you’re subscription box obsessed like us, we think you’ll love these other boxes!